Church Festival . 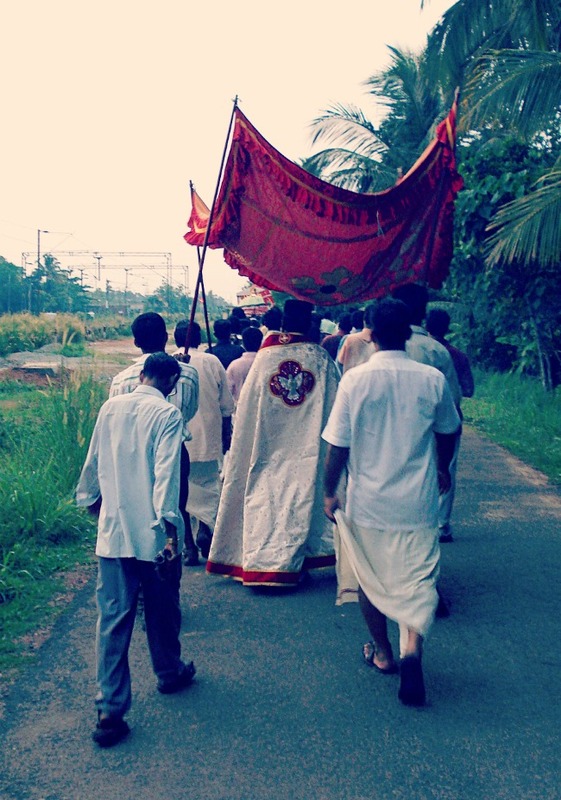 In one of my previous posts, i had written about the procession to the church, called a 'Raasa' in Malayalam. This would be how the end of that trail looks like. That's the parish priest in his robe with the white dove, carrying a cross in his hand. Ours is usually the last house on the trail, so its non-stop all the way to the church after there. And here we go.